For over forty years, John Scott has established himself as one of the finest composers working in films today, having collaborated with foremost producers and directors worldwide, including, Richard Donner, Mark Damon, Hugh Hudson, Norman Jewison, Irvin Kershner, Daniel Petrie, Roger Spottiswoode and Charleton Heston, among others. He has been an essential voice in international scoring that thoroughly belies his occasional over-looked stature in the midst of ?brand name' composers. Frequently associated with Hollywood's finest composers, including Jerry Goldsmith and John Williams, John Scott has created a body of work that stands up as some of the finest music ever written for film. Patrick John Michael O'Hara Scott was born in Bishopston, Bristol, England. John's musical abilities are not without precedence?his father was a musician in the Bristol Police Band. And, like many children, John was given music lessons?first on the violin and later on the clarinet. When John was 14, he enrolled in the British Army as a Boy Musician in order to carry on his musical studies. He continued his study of the clarinet and also studied harp. John went on to study the saxophone and became proficient enough that when he eventually left the military, he was able to find steady work touring with some of the top British bands of the era. As time went on, people began to notice that John Scott had a unique ability as an arranger of music. He was hired by EMI and began to arrange and conduct with some of EMIs top artists. John worked with The Beatles and their producer George Martin, and went on to record with noted artists and groups, including Tom Jones, Cilla Black, and The Hollies (John contributed to their mega-hit ?He Ain't Heavy, He's My Brother?). However, John also was a working, playing musician. He played with The Julian Bream Consort, Yehudi Menuhin, Ravi Shankar, Nelson Riddle, John Dankworth and Cleo Lane. In ?The Beatles' Diaries,? it is noted that John holds the distinction of being the first musician to have been invited to be featured on their recordings, playing both alto and tenor flute on ?You've Got to Hide Your Love Away.? In addition to working with others, in the 60s John was the leader of a popular jazz quintet and the noted Johnny Scott Trio. It was at this time that John started to play saxophone on film scores. He played for Henry Mancini?who was a teacher and mentor in John's development as a film com-poser?and was principal sax on the Goldfinger soundtrack. This exposure to film music whetted John's appetite for composing music for films. His first score was for the film A Study in Terror. Since that ?big break', John has gone on to score nearly seventy motion pictures over the years. His efforts have not gone unnoticed, for he is the recipient of three Emmy Awards and numerous industry recognitions of his work. John has not limited his compositions to the silver screen; he has also composed many concert works including two symphonies, a ballet, an opera and three string quartets. He has also conducted other film composers' work for release on CD, as well as having conducted most of the London orchestras, including the London Philharmonic Orchestra, the Royal Philharmonic Orchestra and the London Symphony Orchestra. Other European orchestras include the Munich Symphony Orchestra and the Slovak Radio Symphony Orchestra. And in May 2006, John conducted the inaugural concert of the Hollywood Symphony Orchestra at the magnificent Royce Hall on the campus of the University of California, Los Angeles. As founder, conductor and artistic director, it was a thrill of a lifetime. For the past 10 years, John has been possessed with an obsession for a deeper investigation into the heritage of film music. 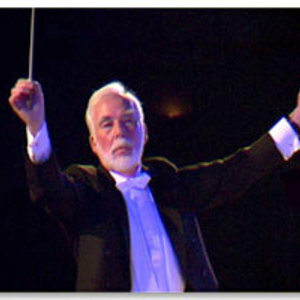 It is his goal to place the best of symphonic film music fairly and squarely alongside the accepted symphonic repertoire in major concert halls. He believes it is time that great composers of symphonic film music are given proper recognition. As president of the Hollywood Symphony Orchestra Society, John is developing programs to establish activities involving interaction between schools, the orchestra and a variety of multimedia projects, to help students explore and understand the concept and value of music for film. The Society will be holding special competitions in the area of film music composition, and providing mentoring from masters of the art, with grant winners performing their work on stage, to film, with a full orchestra. John has also founded his own record company, JOS Records, Beverly Hills, California. JOS is unusual in that it is a label that is run by a composer, and that it releases the composer's own music. This is not unprecedented in the history of musical recordings (e.g. Elmer Bernstein's Film Music Club, and some Stanyan recordings by Rod McKuen) but not on this type of scale and for this length of time. JOS has released some 19 CDs since 1989! Film music fans are thankful that these scores, some of them quite obscure, have been released at all. Additionally, John has launched a new Web site devoted to his own soundtrack label at JOSRecords.com, which contains exclusive content and all the latest news and information about his work. John maintains residences in the United Kingdom and the United States.